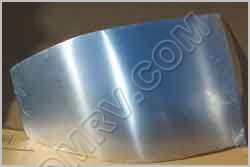 Body Panel 1996 to Present Segment Bright 114888  - $475.65 : Out-of-Doors Mart!, More Airstream Parts on-line than anyone! 114888 Body Panel Segment This aluminum panel goes on the Airstreams from 1983 to 1993. 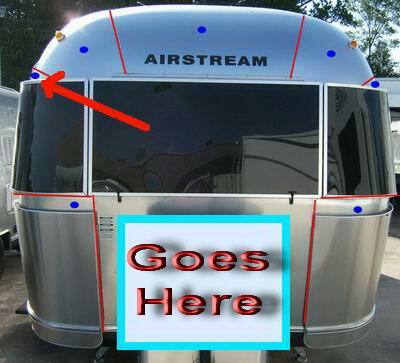 Terms and condition of panels--- We can not have these panels drop shipped from Airstream. They have to come directily from our dealership. Once you order them and check out we will receive that order and if we do not have them in stock we will order them. At that point you will have NOT been charged shipping. Once here, we will take pictures of them and send to you, and we will send you the price on the shipping. We do not make a profit on shipping The panels will have to come on a transfer truck ( they will not come UPS). Transfer trucks do not go into residental areas, you will have to have a place of business that they can be sent to. Click here to go back to the 1983 to 1993 Panels Page.